With its sharp blue light, New York is always living in the present, while Paris, lost in its winter rains and dim light, is a trip through time. From its greyness, I came to realize, there was many stories to emerge if you had, maybe, the eyes of a dog to see them. The night recalls Brassai, the hunching silhouette of Giacometti blurs in the winter fog, and Gertrude Stein’s exhausted guests wait for a cab rue de Fleurus, next to a contemporary princess commanding an Uber from her iPhone. As Delhomme writes in the introduction to the book: “…Paris, lost in its winter rains and dim light, is a trip through time. From its greyness, I came to realize, there was many stories to emerge if you had, maybe, the eyes of a dog to see them. The night recalls Brassaï, the hunching silhouette of Giacometti blurs in the winter fog, and Gertrude Stein’s exhausted guests wait for a cab on rue de Fleurus, next to a contemporary princess commanding an Uber from her iPhone. This is the idea I proposed to Zeit, a diary in which I could reconcile my dream of a lost Paris with the unexpected of the present life.” Written with humor and insight, and beautifully illustrated, A Paris Journal is a diary of both the past and future of Paris as it documents the transformation of a celebrated way of life. 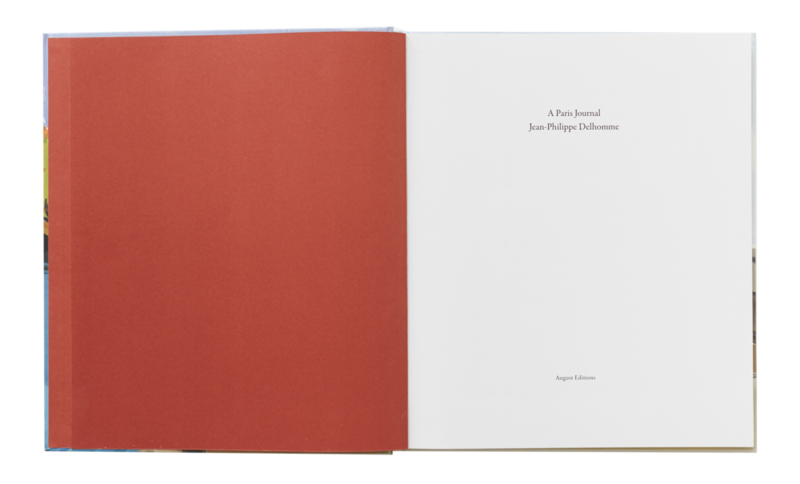 A Paris Journal is published in a limited edition of 1,000 copies.